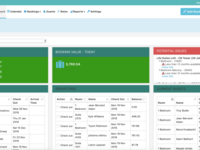 Booking Automation is a professional level property management software to automate your short-term rental operations. 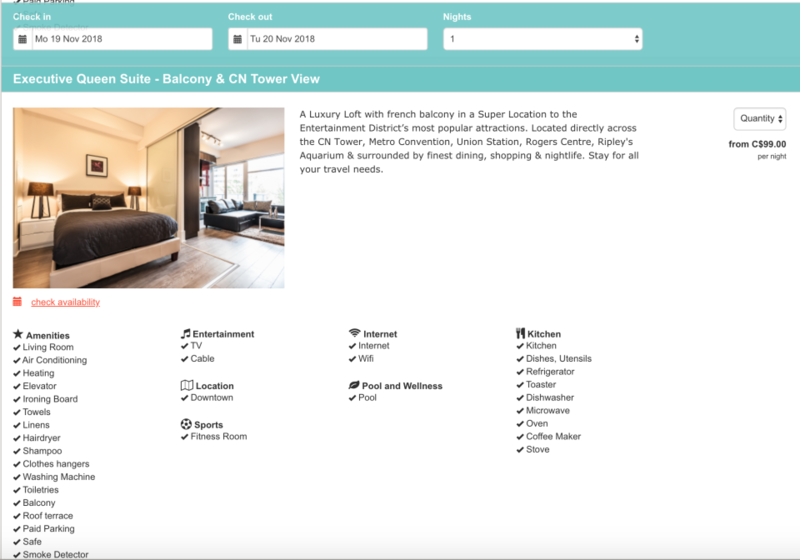 Our platform has real-time synchronization capabilities with all major channels including Airbnb, Booking.com, Expedia, TripAdvisor, and HomeAway. On Booking Automation, you can automate your calendar, communication, prices, and payment collection. You are also able to have our own direct booking website and integrate with other tools such as PriceLabs. Booking Automation Reviews Recently Reviewed! Pros: my company team really liked the support from booking automation. They actually do the job for client to set up all listings and that makes it very much easy . they are always available to help for any question or any guiding . 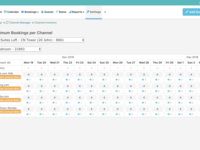 The best part of that is the channel manager that has integration to all rental pages . if a person has listed his property in Air b n b , or booking.com or home away ,etc .. and lots of complication to take care bookings, I recommend booking automation to avoid any mistake in bookings and much more comfortablity ,since the host will have all his bookings from different places only in one master calendar . Cons: perhaps the price is bit high and would be great if they consider discount or offer to their permanant customers . Overall: if a person has listed his property in Air b n b , or booking.com or home away ,etc .. and lots of complication to take care bookings, I recommend booking automation to avoid any mistake in bookings and much more comfortably ,since the host will have all his bookings from different places only in one master calendar . Overall: BA is our entire business and everything runs on it. Pros: To be honest, I am still learning the software and making sure that I have it all set up correctly. The interface isn't perfect and pretty, but it is intuitive and easy to learn. The BEST thing, however, is the customer service. My rep helped me get everything set up in the beginning and responds to all of my questions within a very short amount of time! He is so fast and knowledgeable, and it has made this learning curve and experience stellar! I highly recommend it! Cons: Some items are unclear what they pertain to, and some things I feel like I need some coding skills. But I am still learning my way around the software. 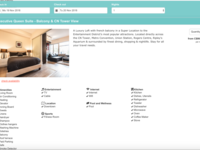 Overall: I have about 8 properties that manage or cohost on AirBnb and I wanted to expand my reach to Expedia, Booking.com, and VRBO, without risking double bookings. I also have to do accounting to cohosts or owners and needed an easy way to calculate revenue. This software helps with that, and hopefully will make communications with guests automated and easy too. Pros: They have thought of every possible feature that can save you time while managing your short-term rentals. The dashboard page is my favorite is it summarizes everything I need to know in one place. The charge-automation feature is a huge time saver as well - it used to take me 3+ hours every night to charge all my booking.com and Expedia credit cards for my bookings. Now its only a few minutes. Cons: Given all the features there is a bit of a learning curve. While the tool does everything well, it could use a face-lift to make it look nicer. Overall: Highly recommend this tool to any serious short term rental manager who values their time. Overall: Used the software for over 2 years now. The features are made for professional property managers and hosts looking to scale. The integrations with Bcom, Expedia, Airbnb and others are very powerful. Pros: This does just about everything that you should need it to. If you would like the application to provide a feature, it probably will, just wade through the manual or ask the team. Cons: Being incredibly comprehensive does mean that it is quite a steep learning curve but I'm getting there. It's best just to jump in with just one property and see how that works. Overall: I wanted an online booking and payment system for my holiday cottages and I've looked quite closely at five different booking/online payment systems and this is by far the most comprehensive. Compared to the others I looked at it is a little more expensive, but not by much, and you certainly get what you pay for. The online live support is a nice feature and certainly the software would be very difficult to master if someone wasn't on hand to guide you through some of it. Be prepared to try - read - try - get live support - try - read, and so on as it's got to be one of the best systems of it's kind out there but needs a lot of patience to gain confidence. 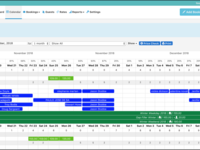 I'm hoping that it will automate most of the procedures that I've been doing manually for several years and linking with other online booking agents will be very important in this changing world of holiday booking. Fantastic system, everything I need in one location! Pros: Ease of use, and the ability to manage all my properties on one screen. I can set my rates, select which dates to make available, and organize cleanings across all properties. Cons: What I like the least about this software is the occasional double booking, but that doesn't happen very often. 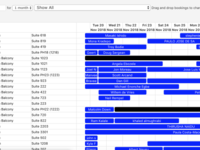 Overall: Calendar management of my properties using multiple booking platforms. Best short term automated software out! Pros: The functionality of different programs that are attached to BA. The program is overall flawless. Cons: BA could be a bit more eye appealing on the website. Overall: Automated emails and texts that were sent out to guests, is the most useful part of BA. BA has been very secure when it comes to payment information. Best channel manager I have used! Pros: I really like that it was easy to navigate after learning all the features. The charge automation feature is honestly my favourite function. Overall: Amazing experience! Helped to remove all the hassle and headaches of manging my short-term portfolio. The charge automation feature helped to make life easier. Overall: Ideal for anyone in the same field to use this product! Pros: Comprehensive and feature rich. A good software for businesses looking to grow and scale. Customer service and technical support was responsive and very helpful too. Cons: Not much. Wish I could make use of all its other features. Overall: Very good and would highly recommend them. Pros: It's is easy to use and much better value than my previous channel manager kigo. It's integration with Airbnb and BDC is very easy. When changing over it's quite stressful and the support person walked me through the process and got it done in a day. I was live the whole time and doesn't miss one booking. Cons: I'm still not sur if there are any cons. I'm still understanding the extra person fee, I'd like to add to my own bookings but so far customer support has showed me what I needed. Overall: I decided to move now for scaling purposes. Kigo was good for starting off and the 3% 5% model worked when I first started, but long term this model is far too expensive for what is a posh calendar after all. Booking Automation will allow me to grow quickly, the fees are reasonable. I also found the integration with price labs to be very simple. Pros: The ease of different platforms working together and communicating between each other. The ability to edit reservation or listing info. Also ability to edit and visually see dates and units in the screen view. Hands on onboarding support is phenomenal as well as the ease. Overall: Our rep has made this transition smooth and seamless. We would not have opted to sign up if he had not been so detailed and helpful. We were with Snap channel manager before finding your company and there is no comparison. You are head and shoulders above their software and most notably their customer service. This made the difference for us. Our rep's eagerness to assist and educate us is exceptional. HE is 5 star!!! Pros: I won't name names for privacy reasons but "T" was amazing during our two on boarding calls, attentive and patient he made the process really simple and has given me a lot more confidence using BA as my channel manager. I have dithered unnecessarily for weeks, but have no regrets having taken the plunge. Thank you Booking Automation, thank you Mr T! Overall: Fear of double bookings was paralysing me moving onto multiple OTAs BA has got me past that and I am looking for a big up swing in bookings now it's done. Pros: BookingAutomation offers a very robust CMS platform allowing end users to decide how complex they want their management plan to be. It also offers the very reasonably priced integration of ChargeAutomation which save me 1.5 -> 2hrs work the first day I implemented it. Cons: It could be difficult for those new to CMS SaaS to get used to - but the customer support is fantastic which definitely offsets the initial 'launch' challenges. Overall: BookingAutomation replaced my existing CMS that I had been having significant challenges with. With the aid of their support staff the transition was smooth and left me confident that my new CMS would be reliable. In the first week I saw time significant time saving through integrating ChargeAutomation which will allow me to focus on growth and provide better service to my clients. I love the help support. Been a BookingAutomation user for over a year now and it has made my life a lot easier! Pros: Given me the ability to focus on growth and the things that matter most in continuing to grow my business. Good product and works for our needs. Pros: Automated replies have been helpful to reduce our work efforts. The guides are effective at explaining the attributes and how we can integrated into our messaging. We are able to manage rates using over encompassing tools. Cons: The UI needs some work to become more modernized, but its not a deal breaker. Some of the features could be better explained in advance to prevent issues. As well the feedback loop is lacking, such as "on-success" is not relayed back to the user. The guides need to be updated more frequently to meet the changes the OTAs are applying. Overall: Helped guide us through a lot of setup issues and worked to really drive our success. Cons: I didn't find any cons dealing with this booking software. So far, so good. Pros: Amazing and smart product. I used different channel management programs but this one the winner. Pros: I had an experience using the app, I was an assistant using BA. Can have the same feature as any other app but nothing so special about it. Cons: Not user friendly, and the interface is so poor and outdated you won't love using it. Overall: I rather use other channel management app, it's not user-friendly and the interface is poor and outdated. Pros: Easy to maneuver and get used to. Having every other booking services in one makes it a lot easier and efficient. Cons: I really don't have any cons using this service. Having the calendar sync is definitely an A plus approach. Overall: Efficiency of combining all other booking services in one simple format is excellent. AMAZING! Best thing I ever did for our bookings management!